Cairo, June 25, 2018 – Crédit Agricole Egypt is proud to sponsor the Institut du Monde Arabe (IMA) Economic Conference that will be launched tomorrow in Paris under the name: “The Future of Exchanges between France and Egypt” in the light of the Egyptian season at the institute. More than 200 high-level political and economic decision makers are foreseen to attend the conference. “Throughout its 10 years of operating in the country, Crédit Agricole has supported the Egyptian promising market. This conference will help us promote investment opportunities and lure French companies to invest in Egypt, in line with the objective of Egypt’s Vision for 2030. As part of the worldwide Crédit Agricole Group, the Egyptian unit will offer expertise, financial consultations and the services required for supporting investors,” added Mr. Finas. A number of Egyptian and French officials are decided to attend the conference. The list includes Dr. Sahar Nasr – Minister of Investment and International Cooperation, Dr. Hala Al-Saied – Minister of Planning, Delphine Gény-Stephan – Minister of State, attached to the Minister of Economy and Finance – and Stéphane Romatet – France’s Ambassador to Egypt. In addition to business tycoons like Naguib Sawiris and Ahmed El-Seweedy, and a large number of ambassadors and international organizations. The conference comprises a number of sessions and roundtable, which focus on the Egyptian economy’s main issues, including “Bets & Challenges”, “The Urbanization Challenge: What Future for Egyptian Cities?”, “Renewable Energy Resources and Possible Partnerships between France and Egypt” and “Tomorrow’s Egypt: Focusing on Egyptian Megaprojects”. The conference will be a platform for top executives of Egyptian and French economic facilities and companies. IMA Economic Conference is held under the auspices of both the Egyptian and the French governments and Egypt-France Business Council, in collaboration with Egypt’s Embassy in France and the French Embassy in Egypt. The activities are organized as part of the Egyptian season of IMA under the theme “The Epic History of the Suez Canal: From the Pharaohs to the 21st Century”, celebrating the 150th anniversary of the Suez Canal, noting that the inaugurating of the exhibition will be transferred to Egypt next year.. 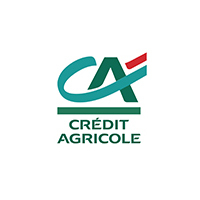 It is worth mentioning that Crédit Agricole Group is the leading partner of the French economy and one of the largest banking groups in Europe. It is the leading retail bank in Europe as well as the first European asset manager, the first bancassurer in Europe and the third European player in project finance. Created in 1987 by the collaboration of France and 22 Arab countries, the Institut du Monde Arabe is considered to be a true cultural bridge between France and the Arab world. The institute promotes bilateral exchanges and cooperation, especially in the scientific and technological sectors, in addition to its role in boosting the cultural and economic ties between the Arab World and Europe in general.